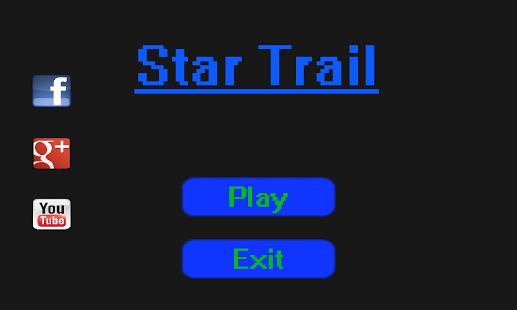 Star Trail is a retro style 2D platform game based on the game Star Guard by Vacuum Flowers. You must safely guide the blue space trooper through dangerous levels filled with monsters, mines and burning lava. Your goal is to find the magical, glowing stars guarded by the enemies. Each star leads to the next. – 3 types of monsters. – Unlock levels one at a time. – Includes a score system to measure your skills. – Collect coins and shoot monsters to increase your score. 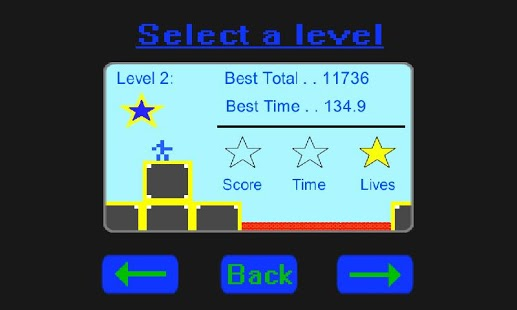 – Saves your best total score and best time for each level. – Get 3 stars if you ace a level. – On screen controls optimized for a fast game play. – Added a score system to measure your skills! – Added a level selection menu where you can also see high scores. – Bullets are now coins and do not increase rate of fire. – Shots now costs energy, which regenerates over time. – Improved performance a lot on devices with less than 1 GHz processors. – Monsters now fall when the boxes they are standing on are shot. – Fixed a sound bug. – Made it easier to enter small passages.